Hanging with Buster from Adam Kahan on Vimeo. Buster Williams is a prodigious artist whose playing knows no limits. He has played, recorded and collaborated with jazz giants such as Art Blakey, Betty Carter, Carmen McRae, Chet Baker, Chick Corea, Dexter Gordon, Jimmy Heath, Branford Marsalis, Wynton Marsalis, Gene Ammons, Sonny Stitt, Herbie Hancock, Larry Coryell, Lee Konitz, McCoy Tyner, Illinois Jacquet, Nancy Wilson, Elvin Jones, Miles Davis, the Jazz Crusaders, Ron Carter, Woody Shaw, Sarah Vaughan, Benny Golson, James Moody, Mary Lou Williams, Hank Jones, Lee Morgan, Jimmy Rowles, Hampton Hawes, Cedar Walton, Bobby Hutcherson, Billy Taylor, Sonny Rollins, Count Basie, Errol Garner, Kenny Barron, Charlie Rouse, Dakota Staton, Kenny Dorham, Freddie Hubbard, etc. to name a few. Mr. Williams has recorded soundtracks for movies including Les Choix des Armes; McKenna's Gold with Gregory Peck; David Lynch's, Twin Peaks " Fire Walk With Me"; Spike Lee's, "Clockers" etc. Television commercials include, Coca-Cola; Old Spice; Tott's Champagne; Prudential Insurance; Chemical Bank; Alpo Dog Food; HBO; Budweiser Beer; etc. TV shows include an appearance on the Johnny Carson " Tonight Show' with Errol Garner; the Jay Leno "Tonight Show" where he performed five of his original compositions with the Branford Marsalis Tonight Show Band. 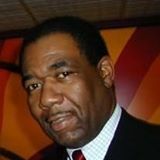 Other television shows include: Sesame Street with Joe Williams; A&E (Arts and Entertainment) with Bill Cosby; The Joan Rivers Show with Bill Cosby; The Andy Williams Show with Nancy Wilson; the Joey Bishop Show; the Grammy Awards with Herbie Hancock, Tony Williams and Bobby McFerrin; the Mike Douglas Show; the Today Show; etc. 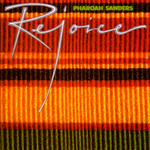 Awards include a Grammy in 1979; the Min-On Art Award; the SGI Glory Award the SGI Cultural Award; the RVC Corporation RCA Best Seller Award; NEA recipient; New York Fellowship Grant; 5 Stars from Downbeat magazine for the album "Crystal Reflections" listed in Who's Who in Black America; and numerous proclamations. Charles Anthony Williams, Jr. (nickname: Buster) was born in Camden, New Jersey on April 17, 1942. His mother, Gladys worked as a seamstress and his father, Charles Anthony Williams, Sr. (nick-name: Cholly), a bassist, worked various day jobs to support his five children, and at night played gigs to support his musical spirit. "My father was my teacher. He would prepare my lessons for me,'' Buster recalls, "and when I got home from school I was supposed to practice, then he would listen while he was eating his dinner. It was an unwritten law that I had to play it right or hear about it. I was going to be the best. I had no choice. In those days, instead of a two car family, we were a two bass family. My father was a fan of Slam Stewart, and he strung his basses the way Slam did. Instead of the regular G-D-A-E, he strung a high C; ie,C-G-D-A. Adding the C string puts the playing of higher-pitched passages at a more comfortable position. Of course, when he decided to teach me he restrung one of his basses in the traditional manner for me. He told me, 'If I re-string my bass for you, you'd better be serious!'" And Buster indeed was serious. 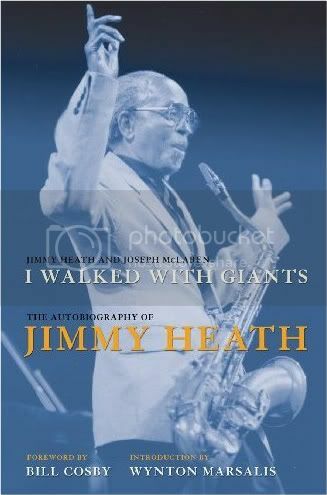 In 1959 he began working with Jimmy Heath whose quartet included Sam Dockery on piano and the legendary Specs Wright on drums. What I learned from Jimmy about music and life was so valuable that bits and pieces of that experience continue to unfold even now. It was like taking a Time release "capsule of knowledge." At the age of age 17, he began playing with Gene Ammons and Sonny Stitt, just one month after graduating from Camden High School in 1960, and stayed with them for a year until the band got stranded in Kansas City. My parents had told me to always keep my train fare home tucked away in a bible, which they had given me. Well this was great lookin' out, but I would probably never have a problem, I thought. Wrong. When the problem did occur I was out on the road broke. Gene Ammons had run off with all the money and nobody got paid. Fortunately, I, along with the piano player and drummer was able to work a week with Al Hibbler, and thereby earn my train fare back home. Back home in Camden, Buster took some courses in Composition and Harmony and Theory at Combs College of Music in Philadelphia. Then came a gig in Wilmington, Delaware with the Gerald Price Trio. Dakota Staton heard the trio and hired them on the spot. 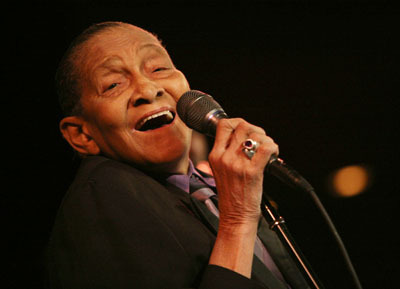 In 1962, he moved on to work with singer Betty Carter, and then Sarah Vaughan, who took him on his first European tour. He was 20 years old, on the French Riviera, and meeting musicians who would figure heavily in his future---Miles Davis, Ron Carter, Herbie Hancock, George Coleman, and Tony Williams. His big, deep, resilient and inventive playing since then has made him the bassist of choice throughout the jazz world. In 1964 he joined Nancy Wilson, got married, and moved out to L.A. He continued to work with Nancy until he decided to return to New York in October of 1968. About 5 or 6 albums came from this relationship. During this time he also worked with and recorded 5 albums with the Jazz Crusaders; worked and recorded with Miles Davis; played with Kenny Durham and was in demand as first call for recording studio; TV, and movie dates. As soon as he returned to New York he began working with Art Blakely, Herbie Mann, Herbie Hancock and Mary Lou Williams. This worked fine until gigs started to conflict and Buster was forced to choose. He chose to stay with the Herbie Hancock sextet which consisted of Herbie, Buster, Johnny Coles, Garnet Brown, Joe Henderson, and Tootle Heath. Between 1969 and 1972 the group metamorphosised into the final personnel: Bennie Maupin, Billy Hart, Eddie Henderson, Julian Priester, and Patrick Gleason on Moog synthesizer, Herbie, and Buster. In 1980, he was nominated for a Grammy Award for his contribution to the album "Love For Sale"/The Great Jazz Trio, with Hank Jones and Tony Williams. His arrangements and compositions have been recorded by Roy Ayers, Roy Hargrove, Art Blakely, Larry Coryell, Freddie Hubbard, Buck Hill, the Jazz Crusaders, Mary Lou Williams, and Herbie Hancock, to name a few. In addition to albums, he has recorded numerous television commercials and movie soundtracks. Buster, along with Ron Carter was the featured soloist with the London Symphony Orchestra on the soundtrack composed by Phillipe Sarde for the Yves Montand and Simone Signoret film, " LES CHOIX DES ARMES." "That film required quite a commute," Buster recalls. "I had to go back and forth to London at least once a month for six months, carrying my bass. They really got to know me at JFK and Heathrow. Somewhere in the early'80's, Buster did a tour with Herbie and Tony Williams which included the young, fresh, new on the scene trumpeter, Wynton Marsalis. 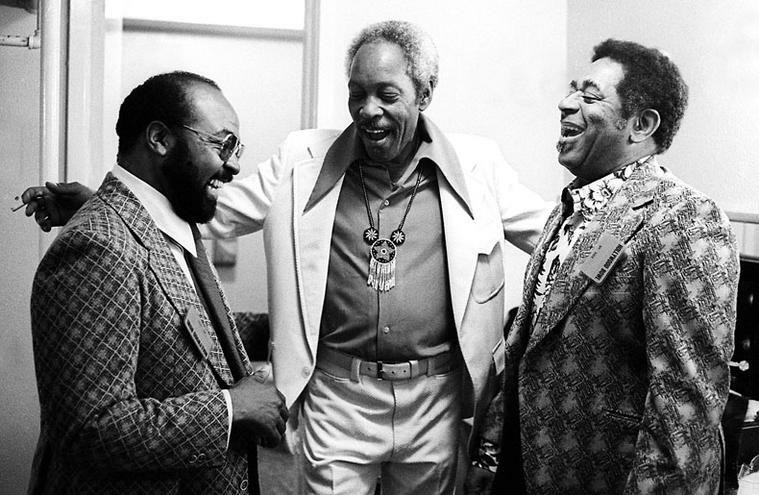 Then Herbie formed a trio of himself, Buster and Al Foster on drums. For certain summer tours, Branford Marsalis, Michael Brecker, or Greg Osby were added. The trio continued working together until 1995. Also during this period there was a Grammy appearance which featured a quintet made up of Buster, Herbie, Tony, and Bobby McFerrin. In 1989, Buster recorded an album of his compositions that featured Wayne Shorter; Herbie, Al, and a brilliant trumpeter named Shunzo Ono. This project entitled "Something More," was released on the IN+OUT lable and became the catalyst for Buster to form his own group which he calls "Something More." In 1991 he was awarded a National Endowment for the Arts grant to compose and perform a work for quintet, string ensemble and vocal chorus. Also that year he received a New York Foundation for the Arts Fellowship Grant. 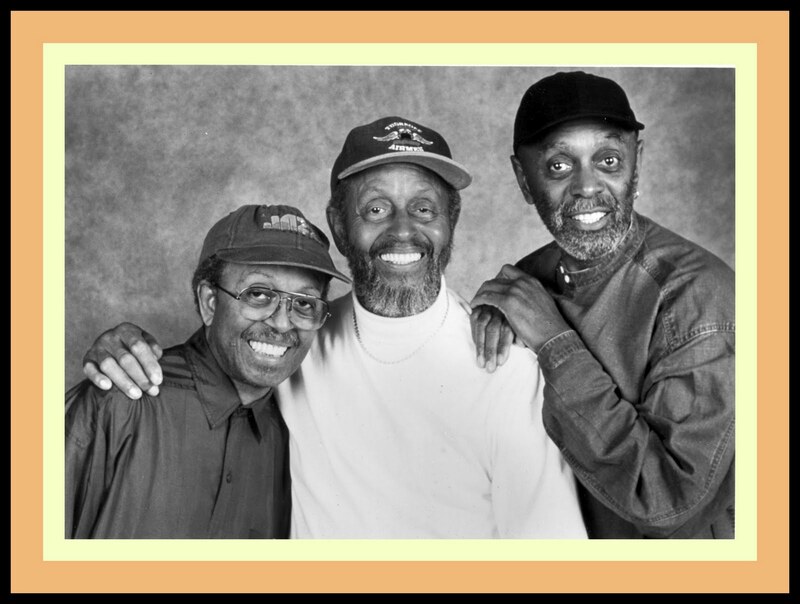 Before forming the Buster Williams Quintet "Something More" he was a member of the world renowned cooperative quartet, Sphere, which consisted of pianist Kenny Barron; drummer Ben Riley; Buster Williams; and the late tenor saxophonist Charles Rouse. Then came his work with ''The Timeless Allstars", featuring Buster; Cedar Walton; Billy Higgins; Curtis Fuller; Harold Land; and Bobby Hutcherson. "After working almost continuously for 30 years as a sideman," says Buster, "I decided it was time to take the plunge, step up to the front, play my music, and express my concept of a cohesive musical unit. I've served my apprenticeship under many great masters and feel that it's my honor and privilege to carry on the lineage that makes this music such an artistically rich art form. Since the inception of "Something More'' in 1990, the group has had numerous tours of Europe including the first International Jazz Festival in Moscow; tour of Japan and Australia; countless engagements throughout the U.S. and a CD soon to be released. After all this and " Something More", the logical question for Buster is, " What's next "?